Founded in 1982 the Society offers help and advice to those with sick, injured or orphaned hedgehogs and maintains a list of rehabilitators in the UK. BHPS has 9 patrons Ann Widdecombe, Ben Fogle, Chris Beardshaw, CJ de Mooi, David Domoney, John Challis, Lorna Watson and Twiggy Lawson. 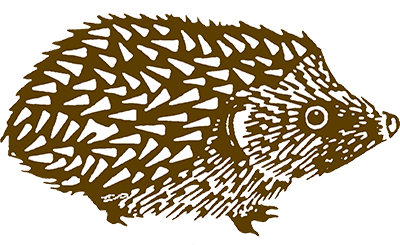 The British Hedgehog Preservation Society (BHPS) is a registered UK Charity (number 1164542) dedicated to helping & protecting hedgehogs native to the UK (Erinaceus europaeus). IF YOU HAVE A HEDGEHOG THAT YOU ARE CONCERNED ABOUT PLEASE CALL US ON 01584 890 801 – EVEN OUT OF OFFICE HOURS YOU WILL FIND THE NUMBER OF SOMEONE WHO CAN HELP BY PRESSING OPTION 1 ON THE ANSWERPHONE AND GETTING ONE OF THE EMERGENCY NUMBERS. THEY WILL BE ABLE TO OFFER ADVICE AND THE NUMBER OF A LOCAL CONTACT. To encourage and give advice to the public concerning the care of hedgehogs particularly when injured, sick, treated cruelly, orphaned or in any other danger. To encourage children to respect our natural wildlife by supplying information and giving lectures, thus fostering an interest in hedgehogs. 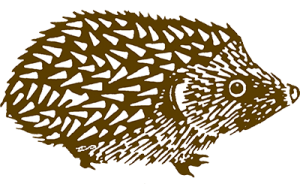 To fund research into the behavioural habits of hedgehogs and to ascertain the best methods of assisting their survival.